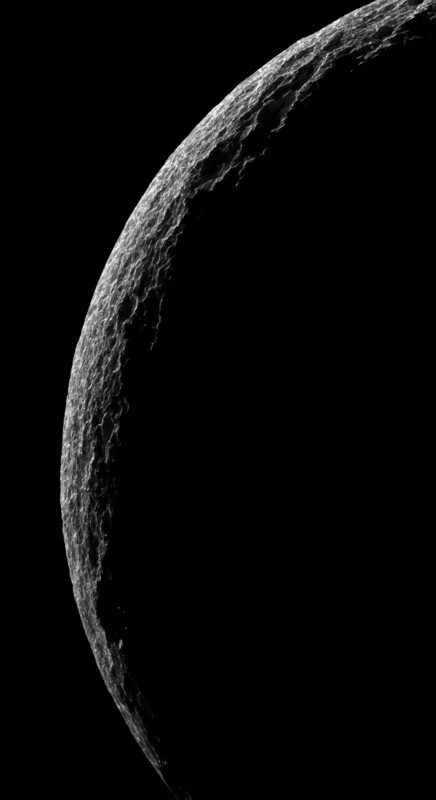 Oct 15, 2007: Flight over Iapetus - Cassini sails low over the surface of Iapetus on approach to its close encounter with the enigmatic moon on September 10, 2007. Oct 15, 2007: The View from Iapetus - While on final approach for its Sept. 2007 close encounter with Iapetus, Cassini spun around to take in a sweeping view of the Saturn System. 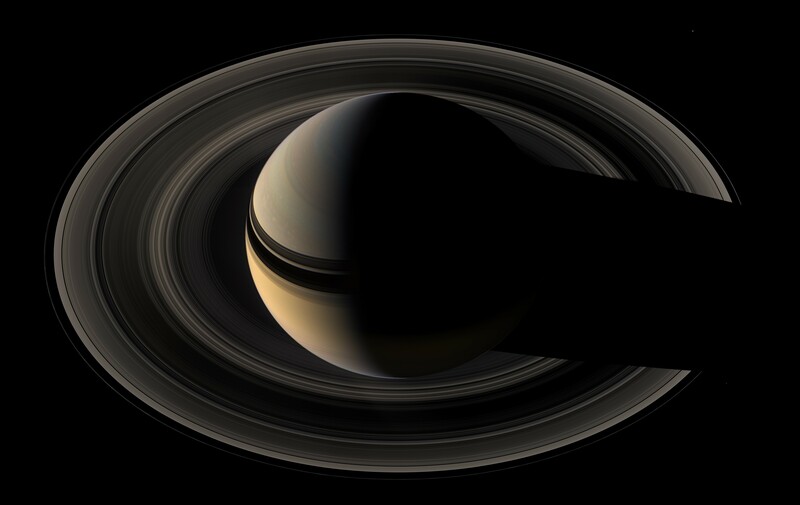 Oct 15, 2007: On the Final Frontier - Saturn sits nested in its rings of ice as Cassini once again plunges toward the graceful giant. 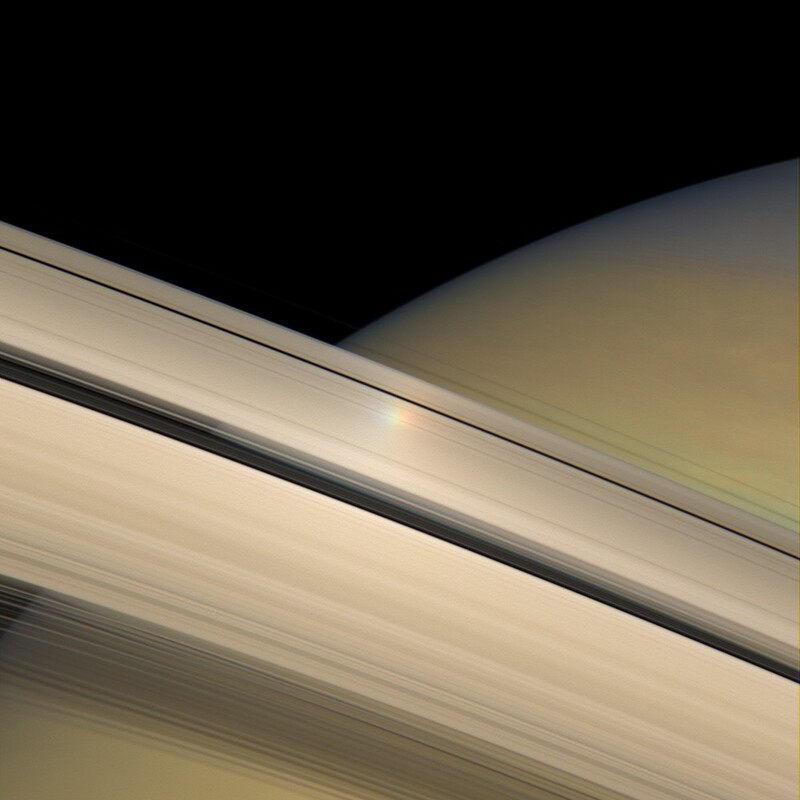 Oct 15, 2007: Rainbow on the Rings - The opposition effect is captured here as a colorful halo of light moving across Saturn's sunlit rings. Oct 15, 2007: Soft Collision - Prometheus slowly collides with the diffuse inner edge of Saturn�s F ring in this movie sequence of Cassini images. 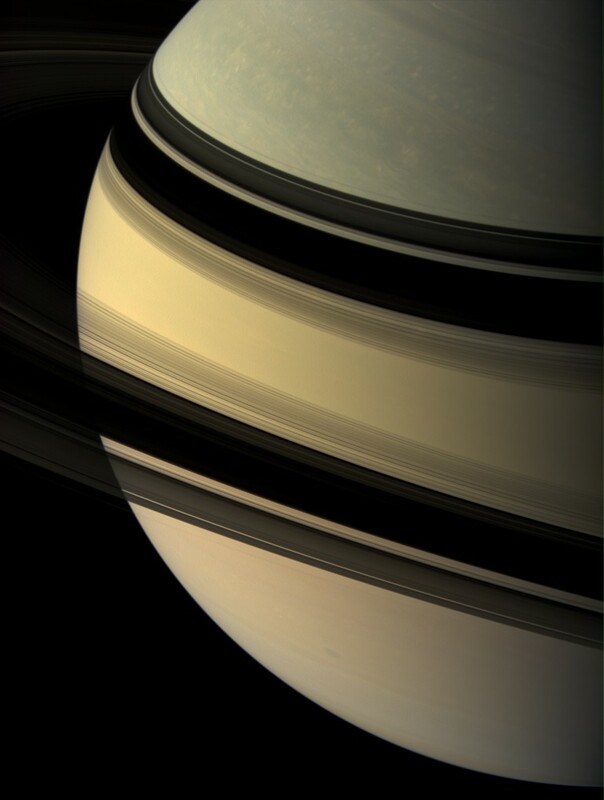 Oct 15, 2007: Grace & Beauty - Our robotic explorer Cassini regards the shadow-draped face of Saturn. 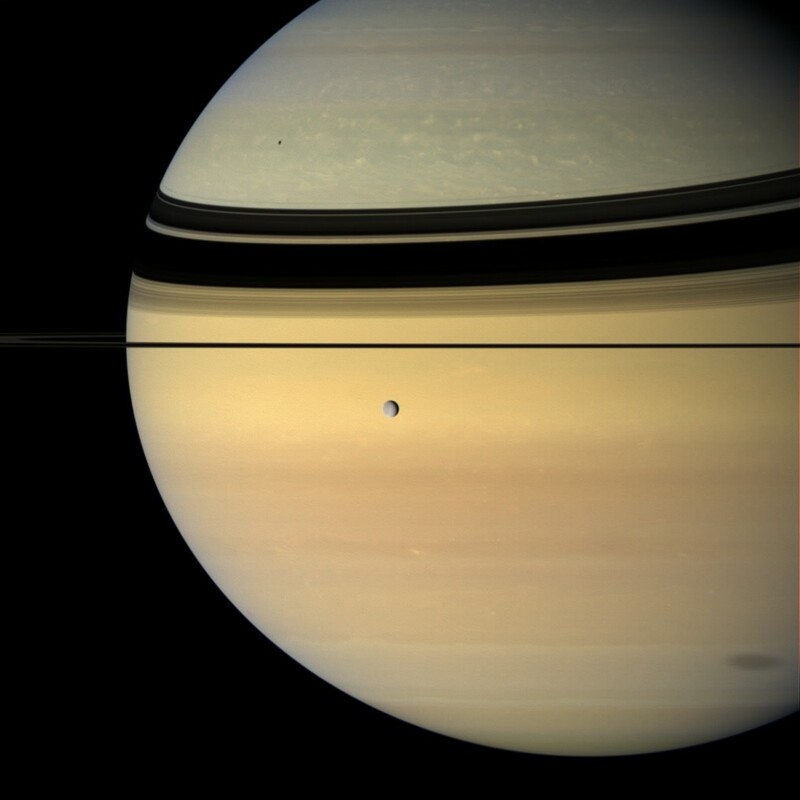 Oct 15, 2007: Shadowing Saturn - Like a silvery pearl, an icy moon crosses the face of Saturn, while two of its siblings cast shadows onto the planet. 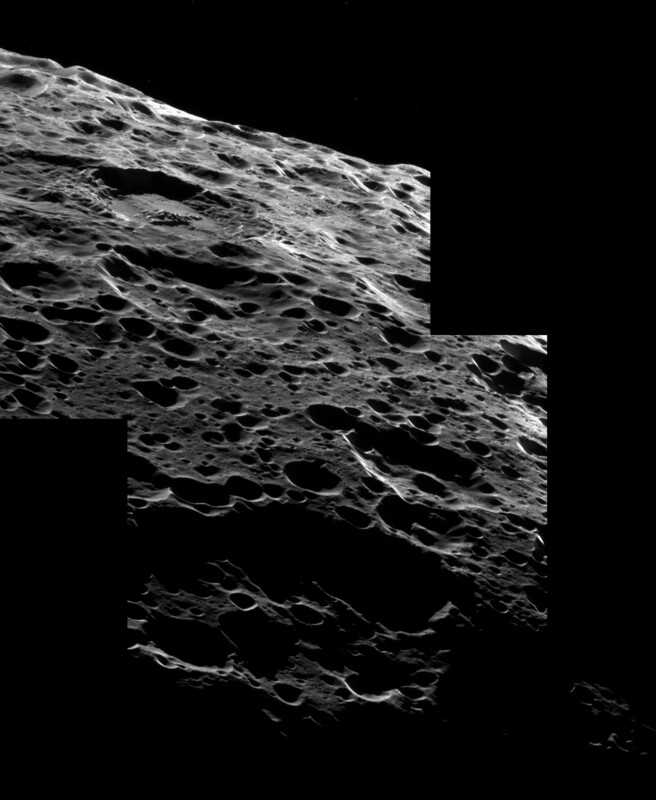 Oct 15, 2007: Iapetan Geography - Cassini soars above the many pits and basins in the rolling landscape of Iapetus. Oct 15, 2007: Frosty Scallops - The cold, cratered landscape of Tethys shines in stark relief in this crescent view. Oct 15, 2007: The Crown of Tethys - The vast expanse of the crater Odysseus spreads out below Cassini in this mosaic view. 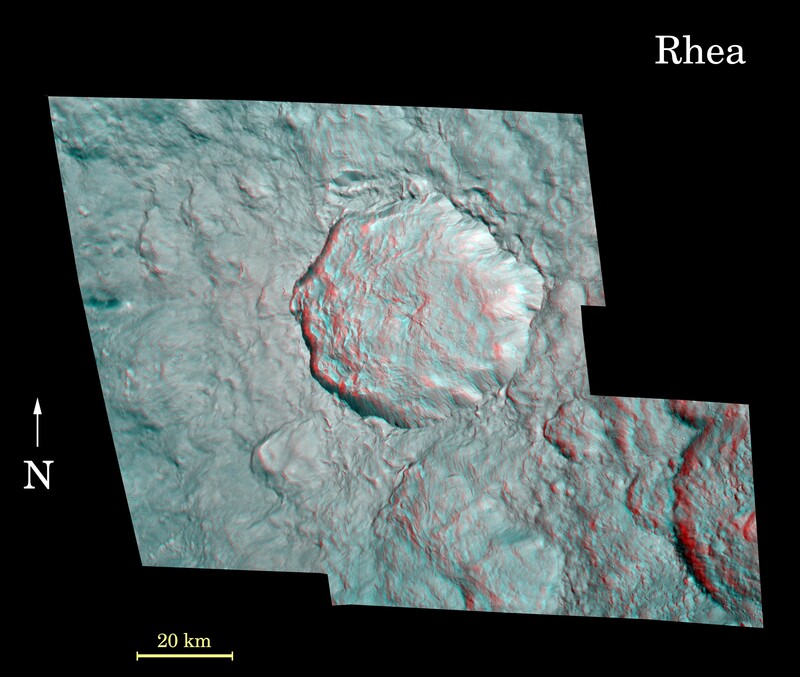 Oct 15, 2007: Rhea's Pop-up Crater - Rhea�s surface gains some depth in this stereo anaglyph, which features the bright and geologically young-looking rayed crater on the moon�s leading hemisphere. 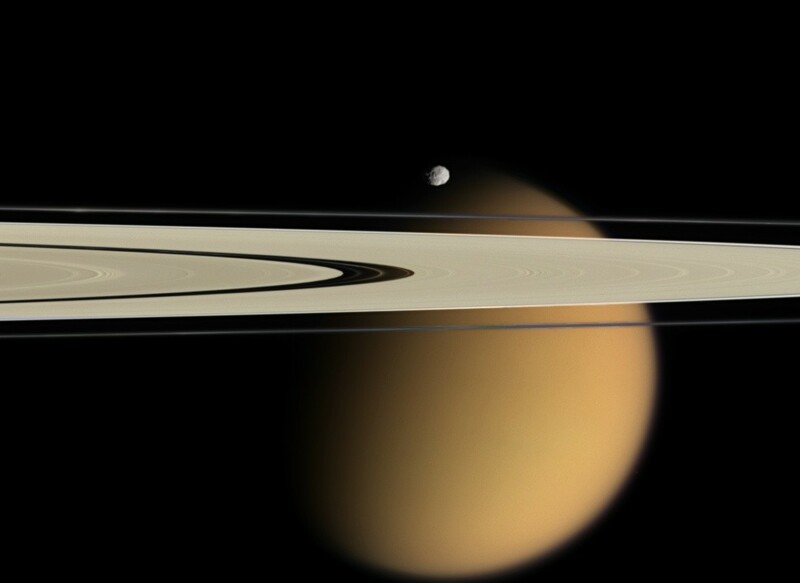 Oct 15, 2007: Titan Beyond the Rings - Cassini delivers this stunning vista showing small, battered Epimetheus and smog-enshrouded Titan, with Saturn�s A and F rings stretching across the scene. 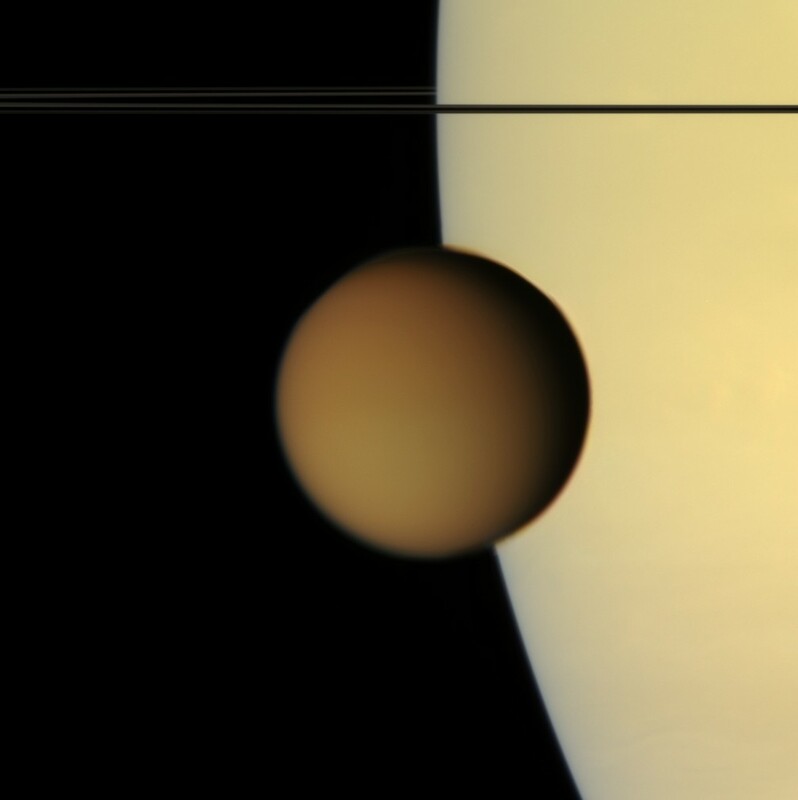 Oct 15, 2007: Titan Makes Contact - The murky orange disk of Titan glides past -- a silent, floating sphere transiting Saturn. 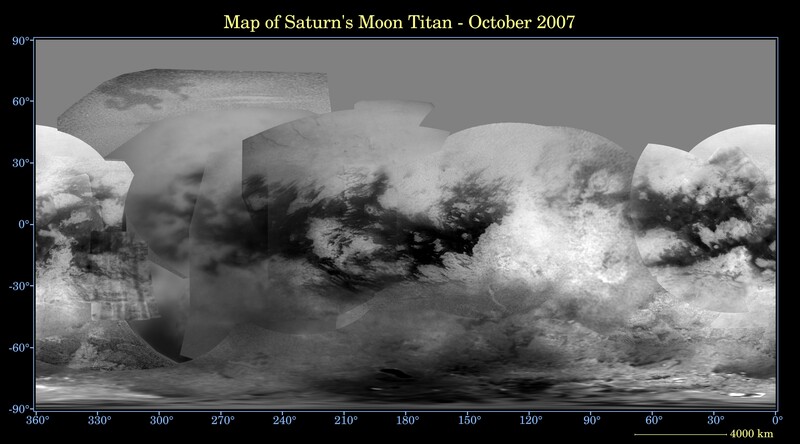 Oct 15, 2007: Map of Titan - October 2007 - This global digital map of Titan was created using images taken by the Cassini spacecraft Imaging Science Subsystem (ISS). Oct 15, 2007: Expanse of Ice - A scan across Saturn's incredible halo of ice rings yields a study in precision and order.